Find the financial option that is right for you at Jim Hudson Automotive! How will you know whether buying or leasing a car is right for you? Jim Hudson Automotive in Columbia, SC, has compiled a pros and cons list to help you take the next necessary steps in your new car purchase. Buying a new car can be a daunting process and this list will make your car shopping easier by highlighting the benefits of leasing vs. buying a car . It all comes down to what you value and how you live your life. We’re hoping one of these car ownership options will lead you closer to buying the car of your dreams without any struggle! -Leasing allows you to drive a new model every two to three years depending on the contract. If you enjoy driving the latest and greatest in the automotive industry, this option may be for you. - There are lower repair costs when leasing out your new car. The factory warranty the dealership will offer you typically covers most repairs. -When comparing numbers month to month, your payment will be lower than when you buy. You also are not require to pay a large down payment. -You only pay sales tax on a portion of your car since you will only be driving it for a few years. Overall, on a short term basis, you save more money with leasing. If you do not have much money saved up in your account, this option may suit your financial needs. -Lease contracts are often hard to interpret and you may miss some essential information when signing your lease. -If you no longer wish to lease before you contract is up, the cancellation fees can be very expensive. -You have a limited mileage on the lease contract, so you always have to be aware of how many miles you use on your daily drive. -On a long term standpoint, leasing is more expensive since you won’t be able to sell your car once you no longer are in need of it. -You own your vehicle and may customize it how you please. -There are no mileage limitations when you buy your car. If you are looking for a car that will last you throughout the years, this option may be suitable for you. You allow the freedom to drive it wherever and however long you want to. -Initially, you save more money long-term. Once you pay off your car, you no longer have to worry about monthly payments. When you lease out a car, you pay monthly until your lease is up. -You have the option of trading-in or selling your car without cancellation fees. -There is an overall higher monthly payment and higher down payment when you purchase your new car. - If any mechanical issues arise, you are responsible for the repair fees of your car. -If you wish to sell or trade-in your car, it is a long process and there are many steps. -You might be limited to which model and year you wish to purchase since buying the brand new model is often the most expensive option. When you lease, you may drive the newest model on the market for a low price. 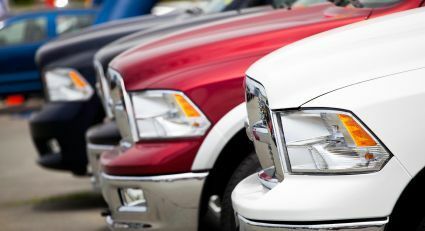 We hope this pros and cons list of leasing vs. buying eliminates your questions and provides you with the essential information you need to move forward in your car buying process. Jim Hudson Automotive in Columbia, SC, strives to provide you with excellent customer service. Our team of professionals will help you choose not only the car you would like to own, but how you would like to own it!